Here’s a free printable treat for you! 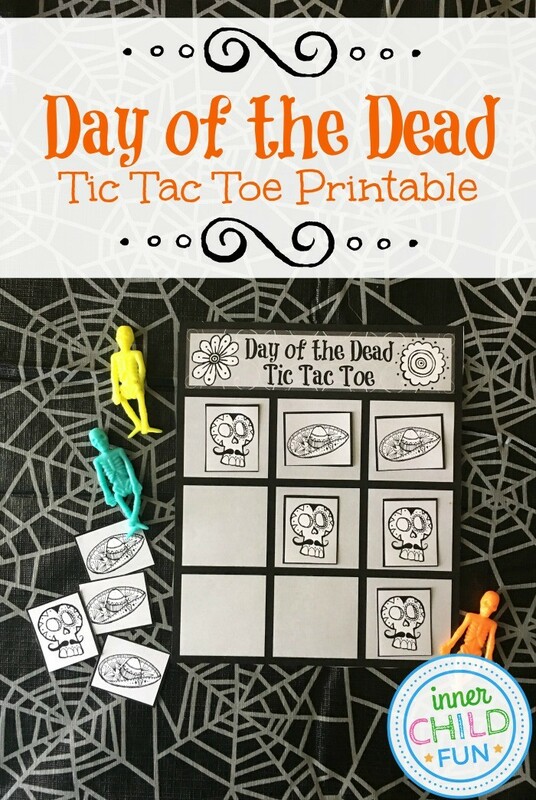 This Day of the Dead Tic Tac Toe printable is a great easy activity for the kids to enjoy. Just print and play! The game pieces can be left in black and white, or use colored pencils to color them however you would like! Download and print the free .pdf file. You will need a .pdf reader installed on your computer to open the file. Adobe Acrobat Reader works great for this, and is available for free here. Use safety scissors to cut out the game board and each of the game pieces. Game is for two players. Separate the game pieces into two piles: sombreros for one player, and sugar skulls for another player. Use colored pencils to color each of the games pieces, if desired. Lay the game board on a smooth surface, and take turns placing the game pieces onto the board. The first player with three of the game pieces in any row, column, or diagonal, wins! Try a tic-tac-toe tournament to play over and over again! Have fun! !